Item # 314981 Stash Points: 4,995 (?) This is the number of points you get in The Zumiez Stash for purchasing this item. Stash points are redeemable for exclusive rewards only available to Zumiez Stash members. To redeem your points check out the rewards catalog on thestash.zumiez.com. Add some flair to your skateboard collection with the Dragon Cruiser 8.5" skateboard deck from Meridian. The steep concave and blunted nose shape help you rip through bowls and vert while allowing for control and pop. 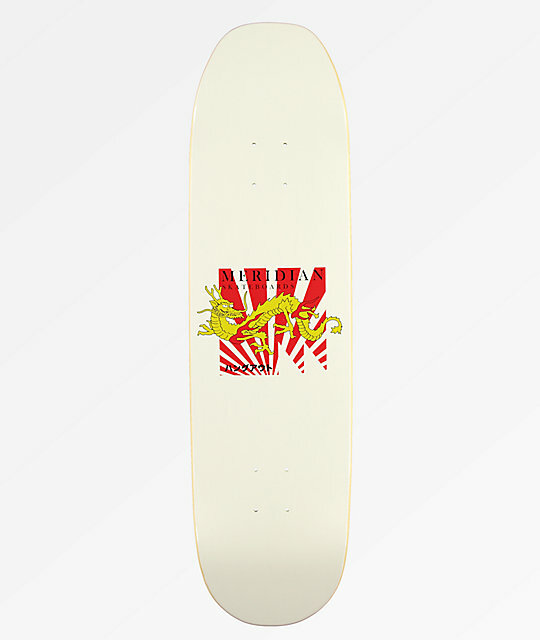 Mostly white, this board displays the image of a gold dragon with Japanese script below on the bottom ply. 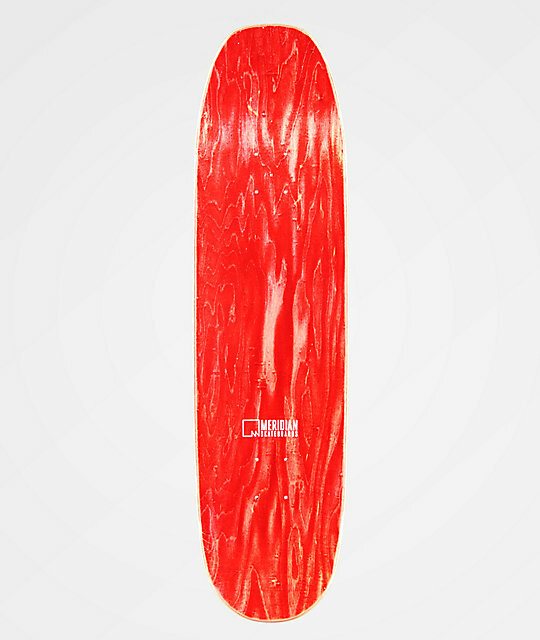 Dragon Cruiser 8.5" Skateboard Deck from Meridian Skateboards.